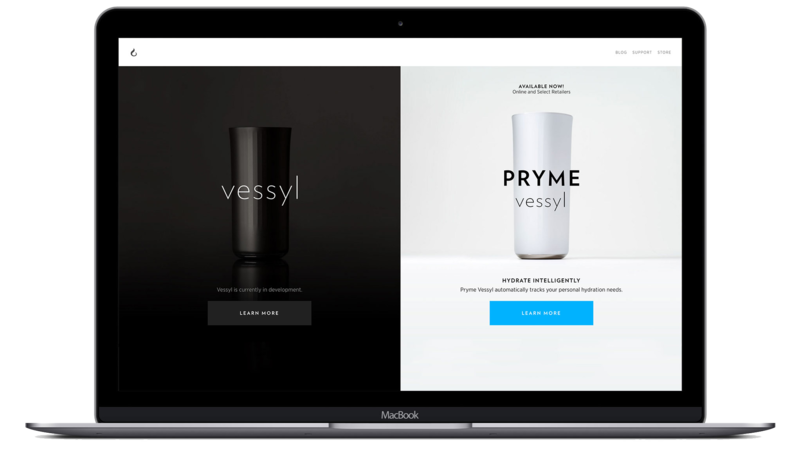 Pryme Vessyl is an intelligent cup that automatically tracks water consumption and hydration levels to help you stay hydrated throughout the day. 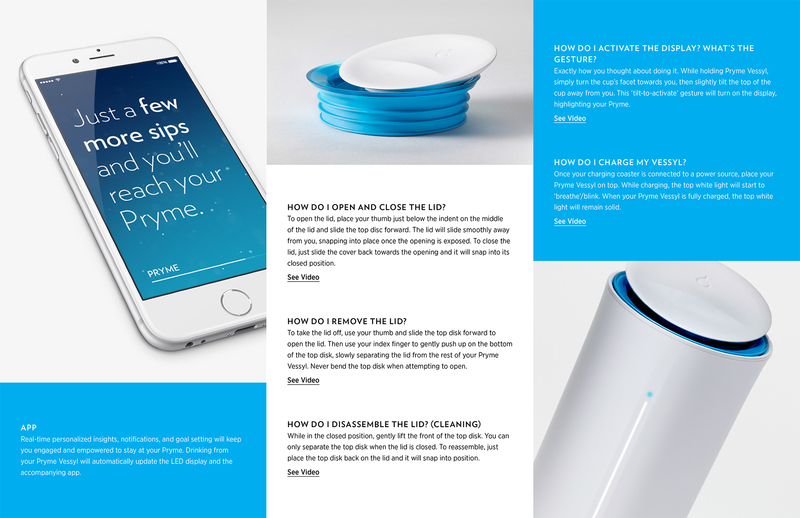 The cup syncs with an app to provide insights and allow users to learn about their behavior. While water is vital to humans, most people aren't properly hydrated. Hydration is more complex than drinking 8 cups of water a day as it depends on people's physique and behavior. Those who want to learn about their unique hydration needs, track water intake efficiently and stay optimally hydrated. 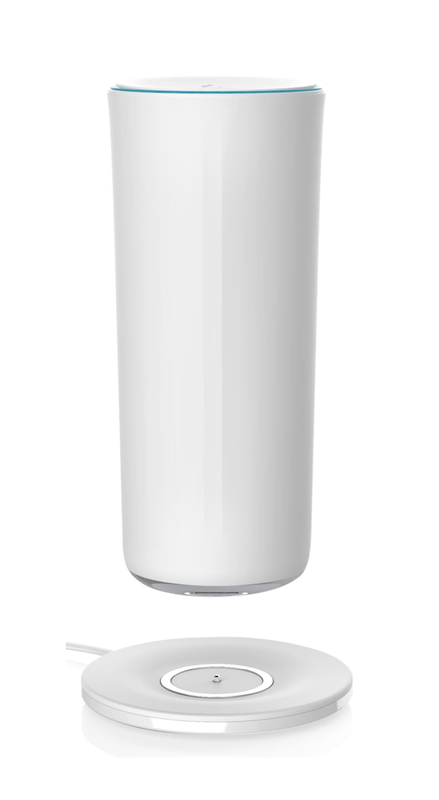 Drinking from the cup automatically tracks consumption. 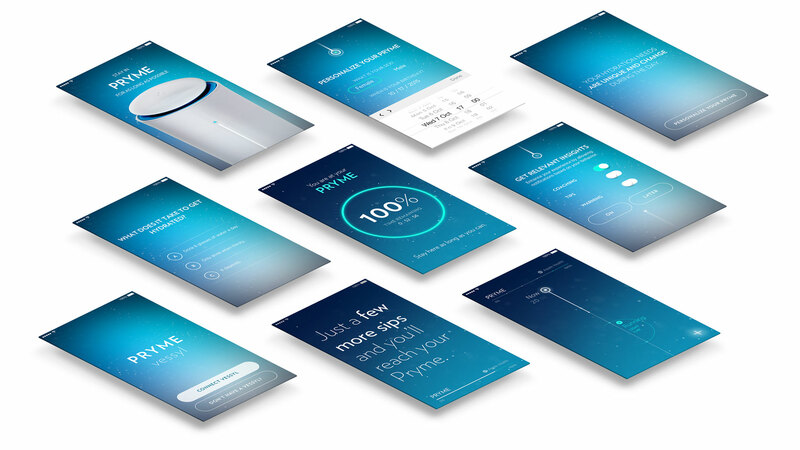 The cup syncs with an app to provide insights, show patterns, and help users to learn about their behavior. Educate people about how hydration works, make tracking water intake easier and help people stay hydrated throughout the day. 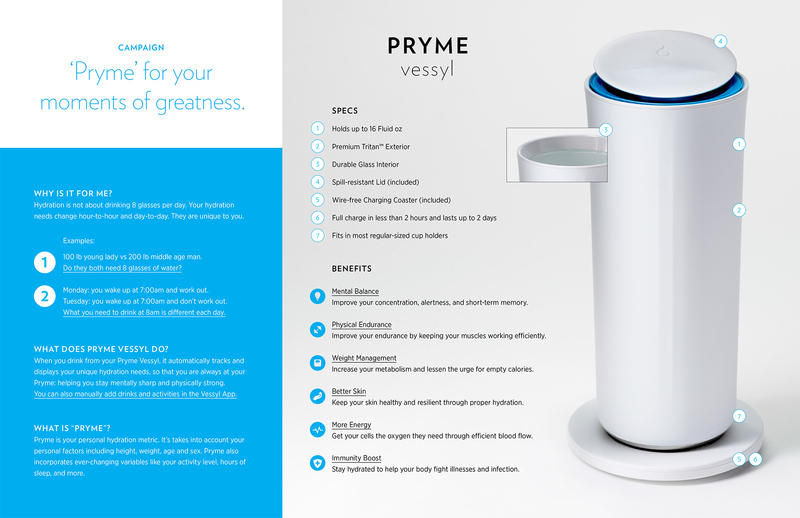 At the end of the day Pryme Vessyl, although embedded with tech, needed to feel like a normal cup people were comfortable and willing to drink from. 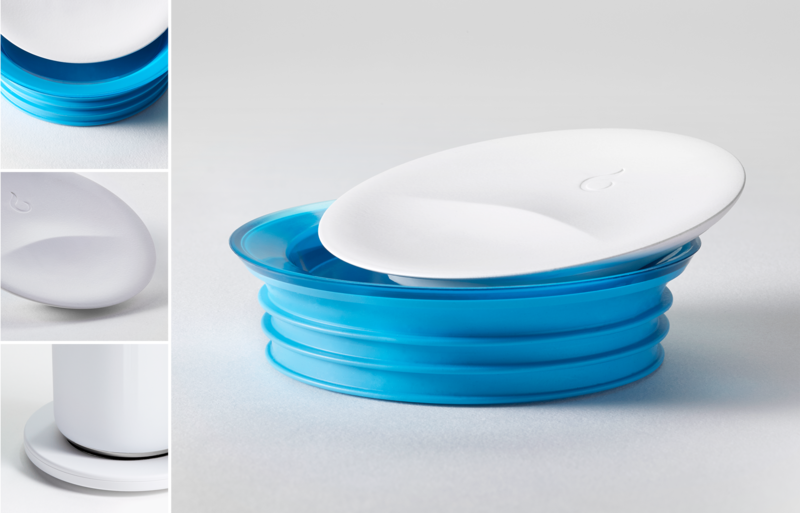 I worked closely with industrial designers to define form, color, material, finish, and UX to provide users with the most natural experience. Using natural gestures was important in keeping the experience not awkward. 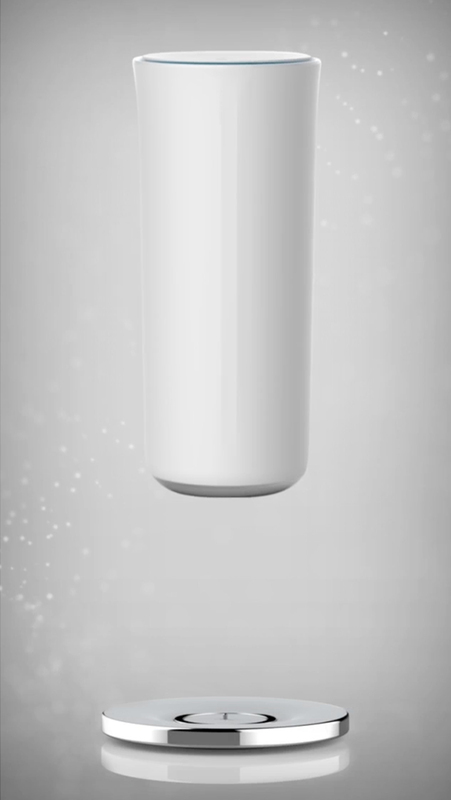 The interface is designed to activate only when the cup is tilted. 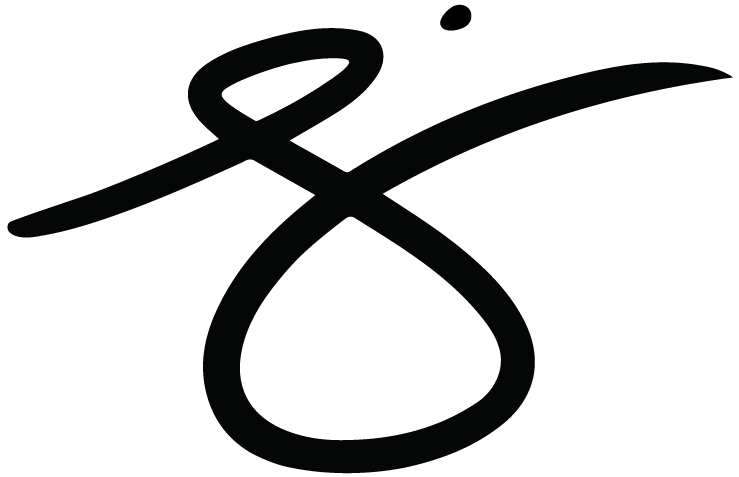 A line representing the user's hydration meter animates upwards showing how close they are to Pryme. When they're at Pryme the top light turns blue. Otherwise, the top light stays white. 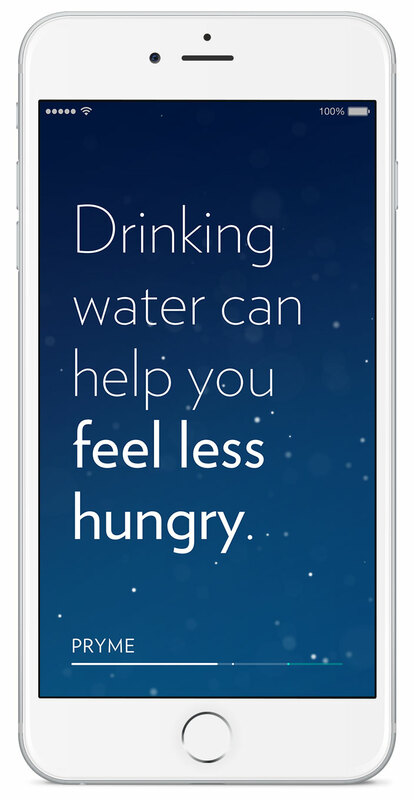 The app serves to help users stay hydrated and keep track of their behavior over time. I worked closely with a motion designer to storyboard and choreograph the Bluetooth pairing sequence. 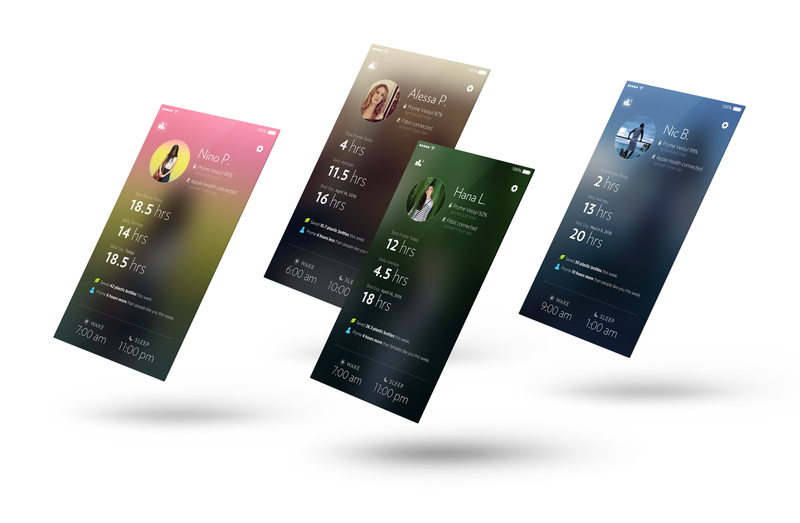 The purpose of the animation was to see how smooth and engaging a less exciting step such as Bluetooth pairing could be. Insights communicate to users how they're doing and what actions to take next. The text is large so it's easy to read at a glance, and also short for quick consumption. 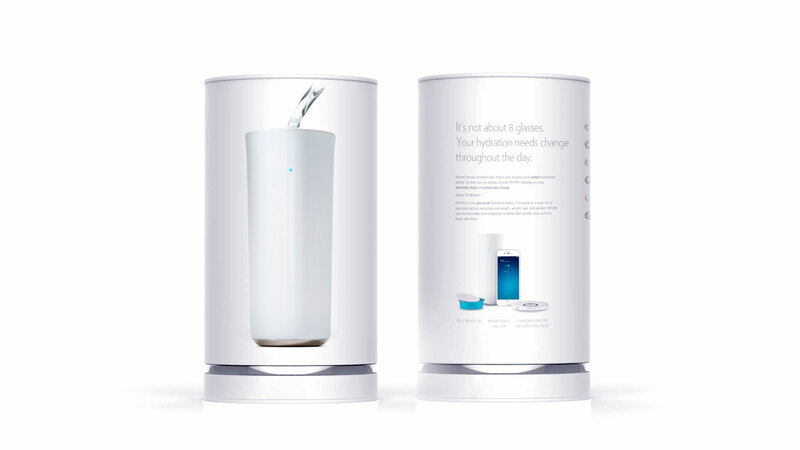 Insights are contextual and change throughout the day, encouraging users to drink water at the right time. This initial exploration demonstrates the color shifts and the transition that occurs when users hit Pryme and fall out of Pryme. 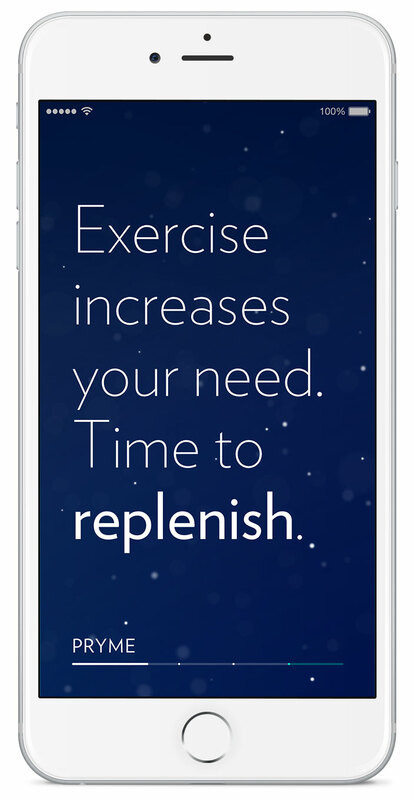 The background changes depending on the user's hydration level. 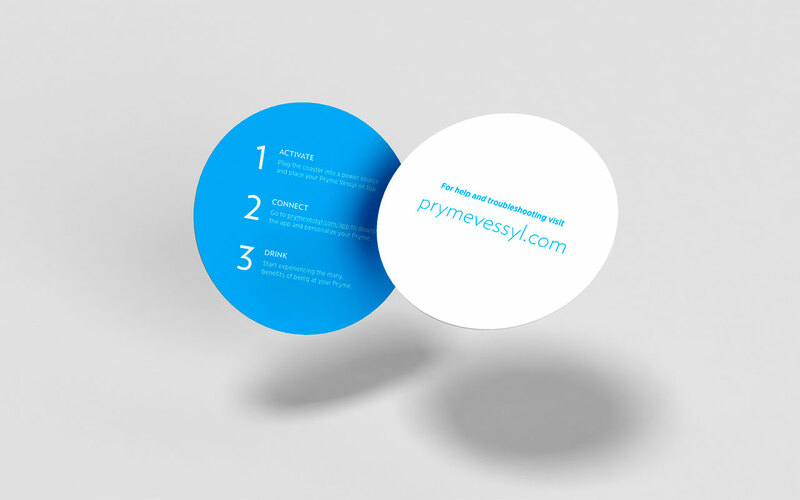 If they are closer to Pryme, the background is a light aqua color. If they're dehydrated, the background is a deep blue. Many think that hydration aggregates when in truth it fluctuates based on behavior. 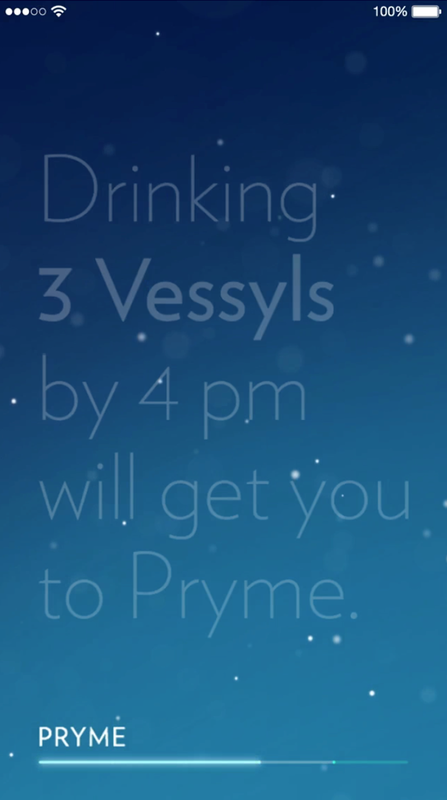 To communicate this, the app displays a countdown showing how much time the user has left in Pryme. 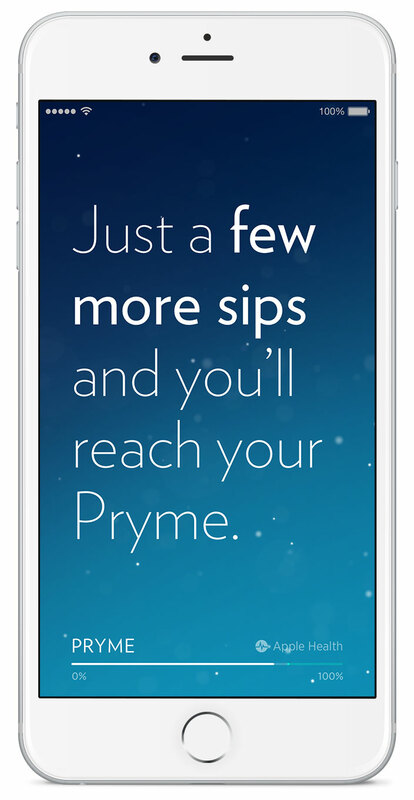 The countdown continues to drop until users fall out of Pryme. 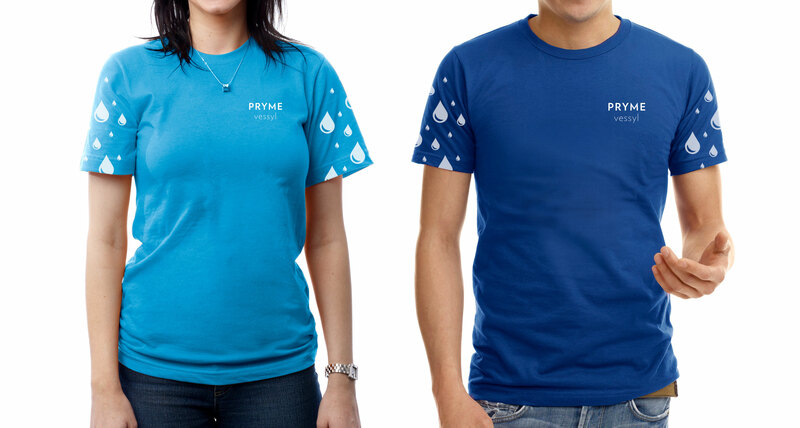 If users drink water the count increases giving them more time at Pryme. 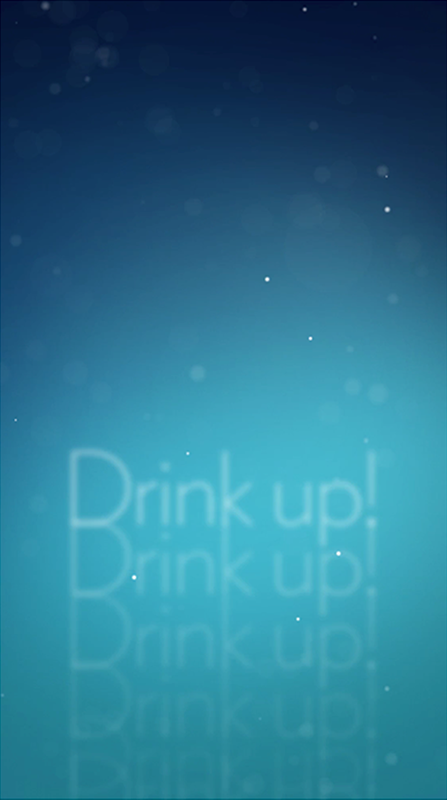 Pouring a drink into the cup triggers a short animation in the app. It's a fun, subtle detail if users happen to be paying attention to their app. 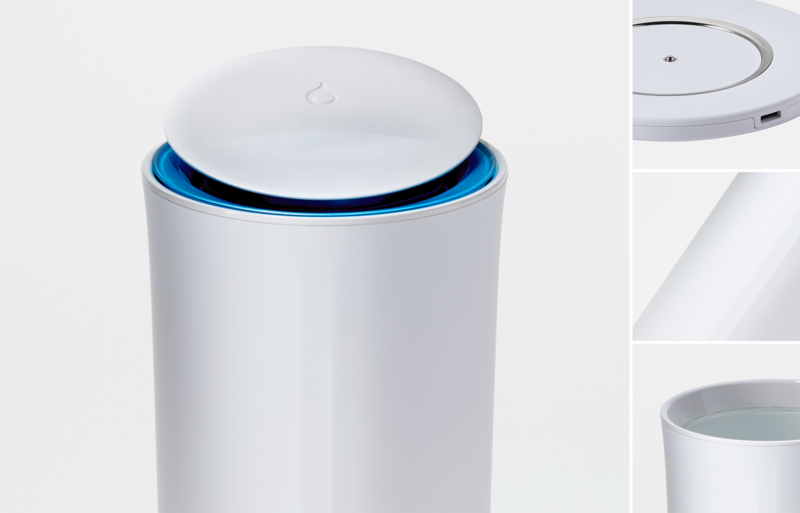 The profile houses hydration stats and settings. 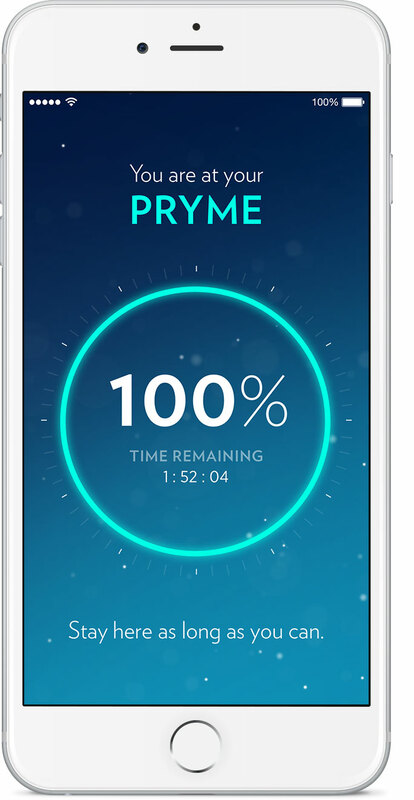 Users can see their data for total hours in Pryme today, their daily average, and also their all-time best day. 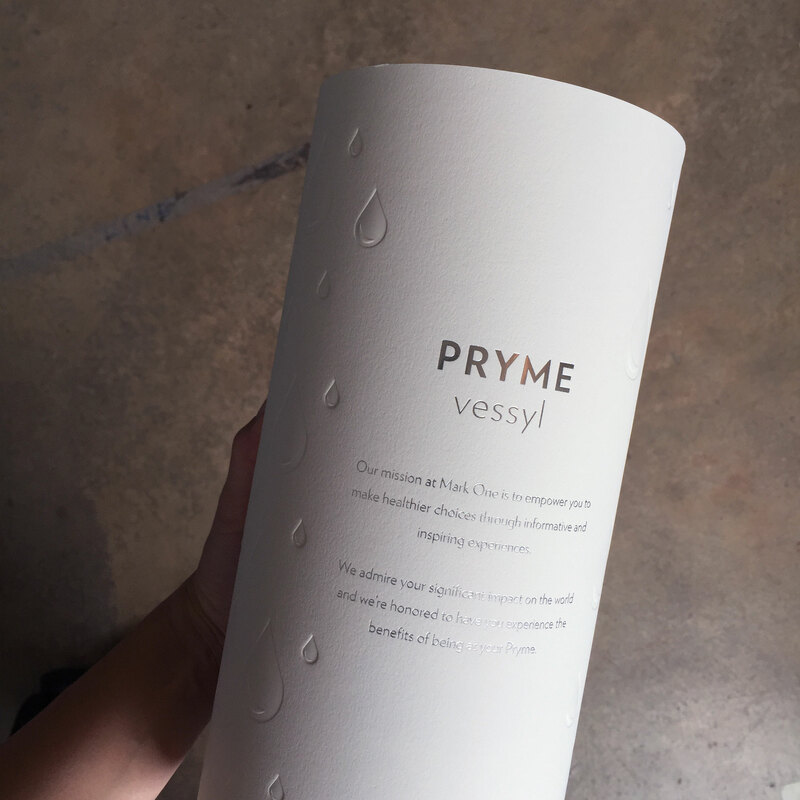 The profile also shows comparisons to similar users and a count for the number of standard plastic bottles saved by utilizing the Pryme Vessyl. Since the company offered two products serving different purposes, the parent site had to clearly differentiate them. 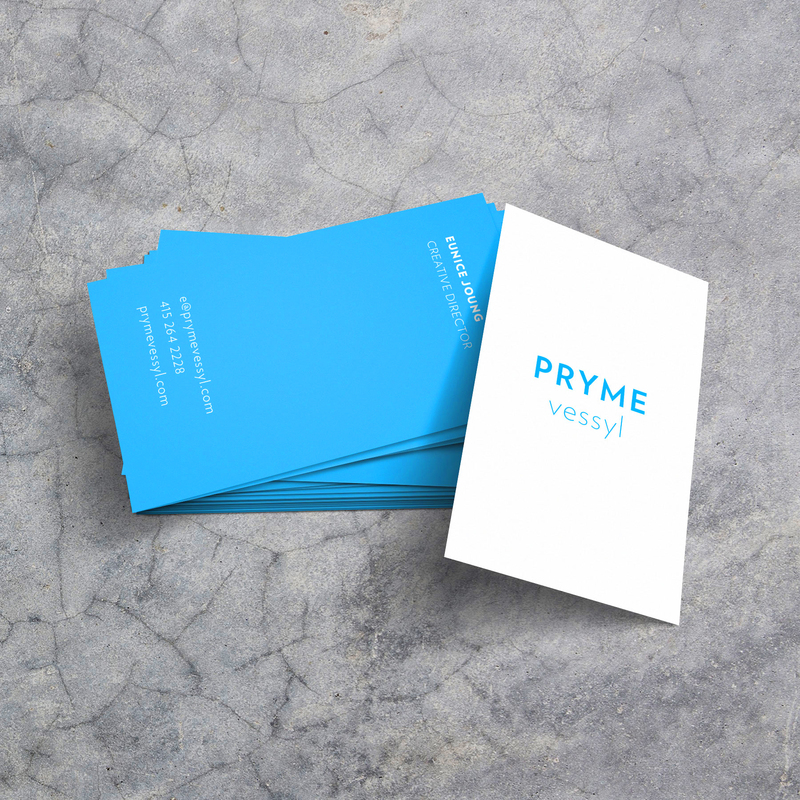 Pryme Vessyl focuses on hydration, so blue and white were primarily used to distinguish it from its sister. I was responsible for designing both websites including the checkout flow. 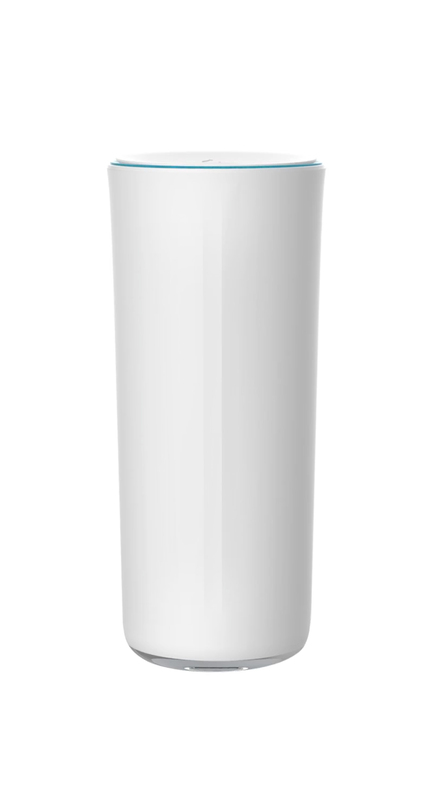 For packaging, we chose a cylinder to mimic the shape of the product inside and help it stand out on the retail shelf. 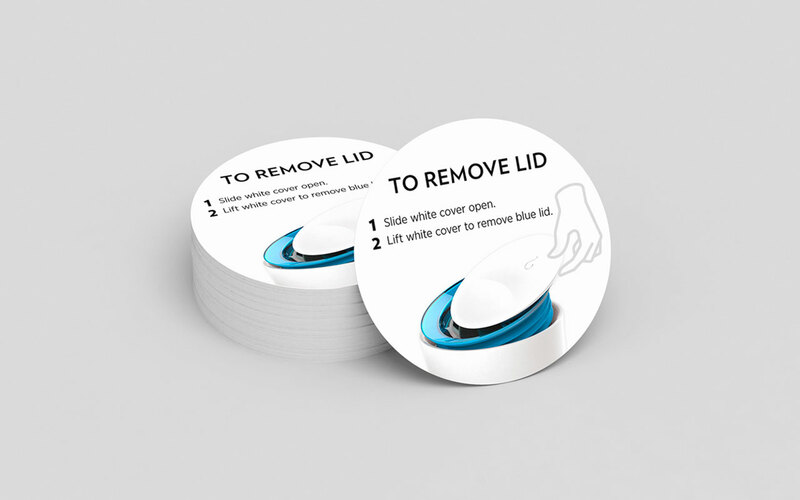 I designed the outer graphics, influencer sleeves, and printed collateral inside including the setup card, lid removal sticker, and safety & warranty booklet. 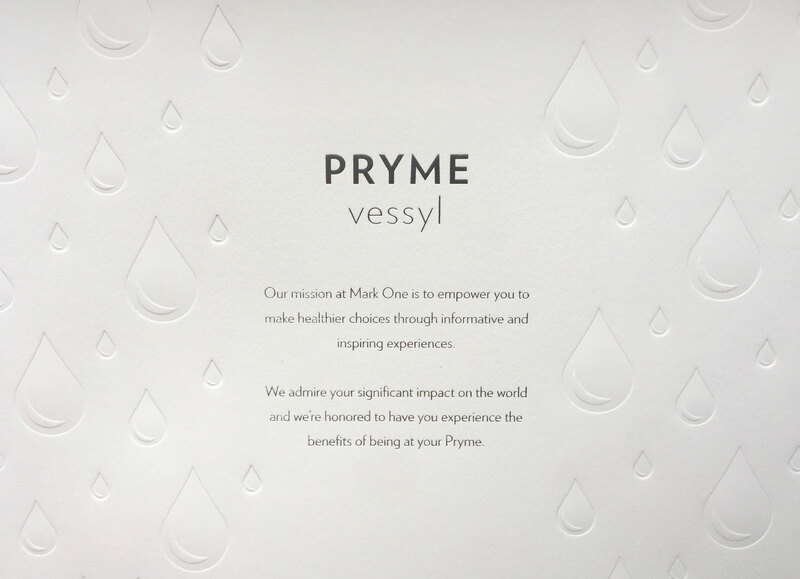 Influencers received a special version with a letterpressed sleeve and silver foil. In partnership with marketing, I designed a product handbook specifically for employees working on the retail floor. The purpose of the guide is to equip employees with the knowledge needed to answer all customer inquiries.